Yeti Casino is a top-notch NZ online casino run by L&L Europe Ltd. Since they burst on to our screens in mid 2017, Yeti Casino has quickly become a household name. Modern well-designed, desktop and mobile sites, provide easy navigation for casino players, to access their favourite games in a matter of seconds. Yeti Casino hold three licenses: one from the UK Gaming Commission (UKGC), one from the Malta Gaming Association (MGA) and one from the Swedish Gaming Association (SGA). Holding all these licenses shows us that they’re a highly trusted brand and that your deposits and casino funds will be safe and secure. Yeti Casino NZ offers over 800 different casino games from over 20 different game providers. You can play any game you like whether it’s slots, blackjack, roulette or live casino. Additionally, they offer a very attractive welcome offer for new players. Carry on reading our Yeti Casino review to learn more about this great NZ casino real money brand. If you’re a new player from New Zealand, signing up the first time at Yeti Casino then you will be eligible for their generous welcome offer. 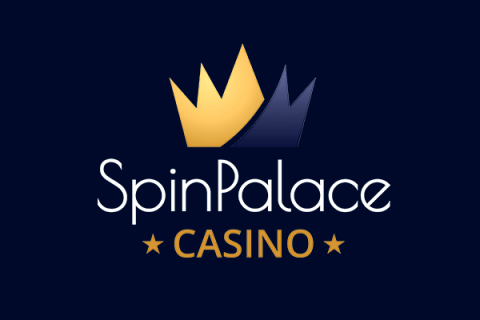 As a new player, you can claim a 100% up to $333 match bonus on your first deposit. Additionally, you will receive 100 extra spins to use on either Starburst or Joker Pro. Wagering requirements for all free or extra spins bonuses and promotional bonuses are x40. Wagering requirements for the refund bonuses are x60. Special promotional bonuses have wagering requirements of x40 unless stated otherwise. Every Wednesday, this newest online casino run their Wicked Wednesday promotion. All you have to do is log in to your account each week and claim the offer in your account. Offers vary each week in the form of a deposit bonus or extra spins to use on a specific slot game. Yeti Casino runs slot tournaments 3 times a month with a guaranteed prize pool of $1000. Existing players compete against each other to accumulate the most game rounds across all participating games. The top 9 players with the most game rounds will win a share of the prizes. $400 is guaranteed to the winner! Additional promotions and special offers are communicated via email only. So, if you do not want to receive marketing emails from Yeti Casino then you will not be eligible for these great offers and promotions. Yeti Casino has over 800 different games to play on both their desktop and mobile sites. So many options, provide for some great entertainment. 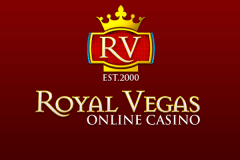 Their casino platform is super easy to navigate via the menu tabs. To make life even easier for you, they’ve also sorted all of their games by additional categories, such as: new games, Yeti’s favourites, tournament games, etc. Over 20 different game providers make up Yeti Casino’s full game portfolio. They have all the popular games from NetEnt and Microgaming, as well as top games from Big Time Gaming, IGT, Novomatic, Barcrest, Blueprint and more. If you’re looking for games from a specific game provider, then you can just type in the provider’s name in the search bar. For example, typing in “netent” will show all of the NetEnt games available. Yeti Casino excels in its online slots selection. Sometimes you can be a bit overwhelmed from all of the slot games they have to choose from. They’ve got blockbuster slot games, such as the Rainbow Riches series, Gonzo’s Quest and Thunderstruck II. If you’re a fan of the Megaways slots, then you have a whole range of games to play from Big Time gaming and Blueprint. Their most popular slot games are: Bonanza and Genie Jackpots. If you enjoy jackpot slots, then you have all the popular games. First off, the most famous of the lot, Mega Moolah, powered by Microgaming, often has progressive jackpots exceeding $10000000! Secondly, from NetEnt you have Mega Fortune, Hall of Gods and Arabian Nights. In total, there are millions to be won on these jackpot slots. Classic fruit slots are also available, and you can find them under the “Slots” menu tab. Here you can find a wide range of games with fruit symbols from Amatic and Novomatic. What’s great about these games are the classic gamble features where you can double up your winnings. If you like playing table and card games, then you have two options. You can either play random number generated versions of the games or you can play with live dealers. All of your favourite land-based casino games are available: Roulette, Blackjack, Baccarat, Casino Hold’em, Pai-Gow, Caribbean Stud and many more. Live casino games offer real-time gaming without needing to be physically present at a land-based casino. If you visit the Live Casino section at Yeti Casino you will land at the Live Casino lobby. Here you can choose from over 50 different tables ranging by game type and betting stake. Here you can play the following games: Lightning Roulette, French Roulette, Blackjack, Baccarat, Dreamcatcher, Casino Hold’em, 3 Card Poker, Caribbean Stud. Yeti Casino’s website is fully responsive. This means that the mobile casino site is exactly like the desktop version. What’s great about the mobile version of Yeti Casino is that you can play all of your games on the go. The casino mobile platform is very slick. Mobile games load very quickly with super high resolution. Yeti Casino even has a mobile application so that you can launch the casino with just one tap of the screen. Currently, the mobile casino app is only available for UK residents in both the App Store and Google Play. Depositing and withdrawing winnings at Yeti Casino is very easy. A wide range of deposit methods are available. Traditional deposit options are the most popular, such as credit cards and bank transfers. Other payment options are e-wallets such as Skrill and Neteller. Yeti casino is also considered to be a reliable Paysafe casino NZ, which means a fast and easy payment process for Kiwi gamblers. Unconventional deposit methods available, include BitPay, for Bitcoin deposits. Yeti Casino allows its players to play in all the major currencies: NZD, GBP, CAD, EUR, SEK, NOK, INR, CHF and ZAR. One major plus that we love about this New Zealand dollar casino is the processing time of withdrawals. You can cash out your winnings in under 24 hours. How quick is that! Yeti Casino has a daily withdrawal limit of $/€/£5,000 (Mon – Fri). If you win one of the major progressive jackpots, then the daily limit does not apply. You can withdraw the whole amount on one shot. Although Yeti Casino does not process withdrawals on a weekend, we don’t see this as such a big issue, as most financial institutions do not work on weekends, so your money would probably not hit your account until Monday. After going through the whole platform at Yeti Casino, we can honestly say that Yeti Casino covers everything we want in an online casino. Loads of great casino games, awesome promotions and super quick payouts, make Yeti Casino a top casino. We highly recommend play here. Sign up now at Yeti Casino and claim your welcome offer.